We have teams for kids ages 4-12, with fall and winter basketball leagues, fundamentals teaching and summer basketball camps. 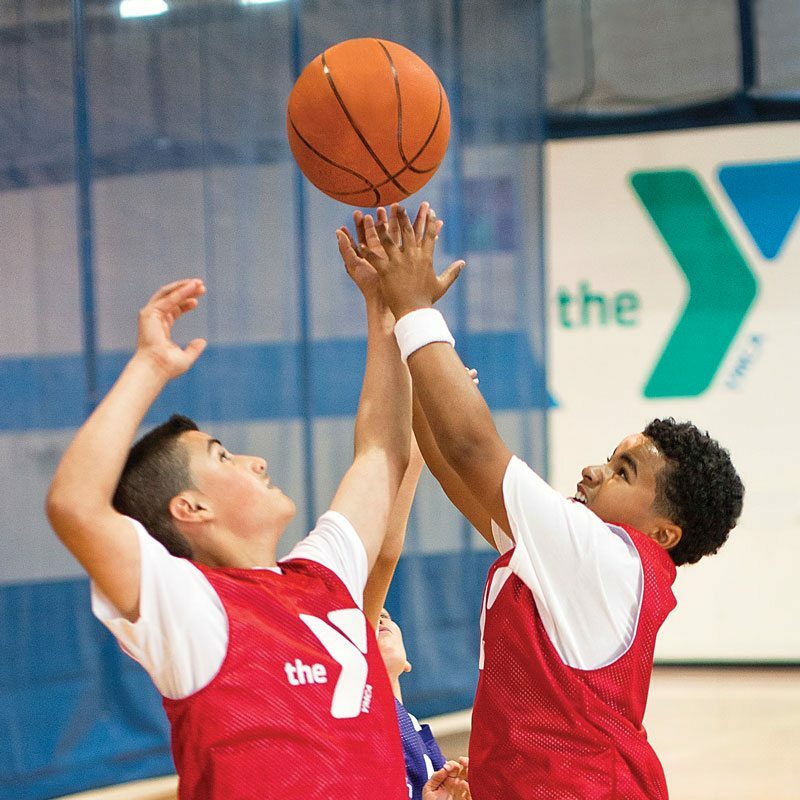 At the Y, kids participate in every basketball game and receive equal playing time, regardless of skill level. Volunteer coaches emphasize team work, fair play and equal participation but most of all FUN! Teams practice once a week at area schools. Games will be played on Friday evenings and/or Saturday mornings at any of the YMCA branches. Players are divided into teams by grade. No practices/games during Thanksgiving week. This program introduces kids to the basic fundamentals of basketball in a friendly, fun, supportive and competitively low environment. This program is designed for boys and girls in 1st through 6th grades. Rules are designed to accommodate players at a more advanced skill level and enhance learning of the game. Teams play six games at the YMCA; 1st/2nd play Saturday mornings, 3rd-6th play Friday nights. Teams provide their own uniforms, equipment, and practice sites. Referees stress sportsmanship and fun. All teams are welcome! Complete roster needed at registration.